If you are looking for a country where everything works like clockwork, now might be a good time to turn back. The Dominican Republic has something for almost everyone, but not for obsessive perfectionists. If you can relax and go with the flow you will experience a land diverse in environment, a rich culture, a turbulent history, some infuriating idiosyncrasies, and a people whose friendliness is legendary. 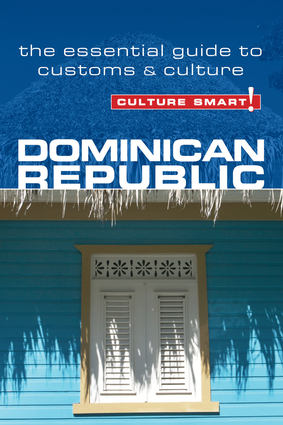 Flamboyant, resilient, generous, and headstrong, the Dominicans’ psyche embodies their historical inheritance and reflects the diversity of their ethnicity and of the physical landscape itself. Culture Smart! Dominican Republic offers a tantalising insight into the country and its people. Every aspect of Dominican life is touched by the key values of the importance of the family and the weight given to personal relationships and belief systems. This understanding of why people do the things they do, in the way they do them, underpins the practical advice offered on to how to behave in a Dominican home, in social and in work settings. Though comprehensive and concise, the book is only a taster. The main course arrives when you visit! As in other collectivist cultures, people have a hard time saying “no”—it is almost considered a rude word—so they will say “yes,” but with the sort of reluctance that shows that they mean “no." As such, be alert to other non-verbal cues to help demystify possibly nebulous responses, such as the famous mañana.